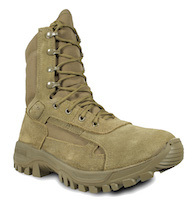 The Terassault T1 is McRae's premium offering in a U.S.A. made tactical combat boot. It features many comfort and fit-enhancing elements including our T1 bottom platform. 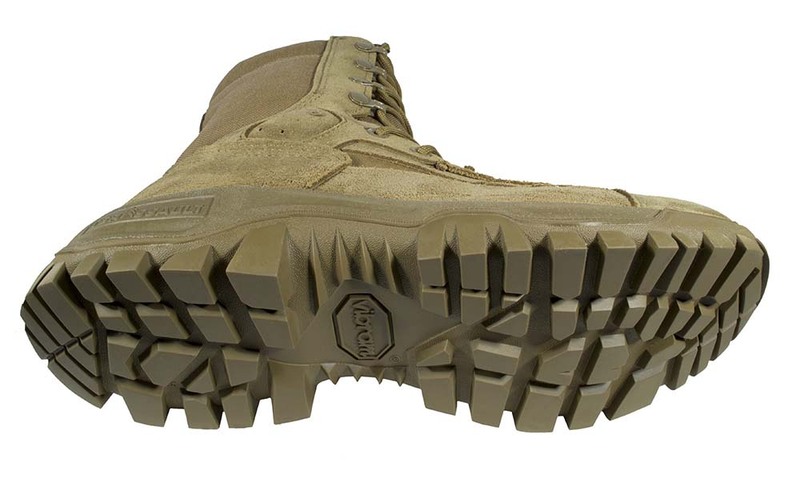 The T1 platform is comprised of a proprietary outsole molded by Vibram coupled with a lower density polyurethane midsole. This combination results in a boot that is lighter weight than typical issue boots with excellent shock attenuation. The bottom unit is also reinforce stitched at the toe and heel to minimize the possibility of bottom separation from the upper. There are many other features including excellent breathability. 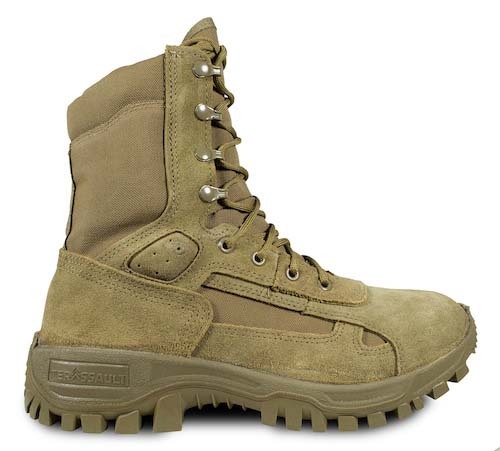 The boot is suited to most all terrains and environments. It is Berry Amendment compliant and meets AR670-1. Topline Padded collar with tendon relief dip in back. Helps reduce fatigue and enhances mobility. Closure System Teraloc lace system. Teraloc is a special lace system that helps keep boots snug even if accidently untied. 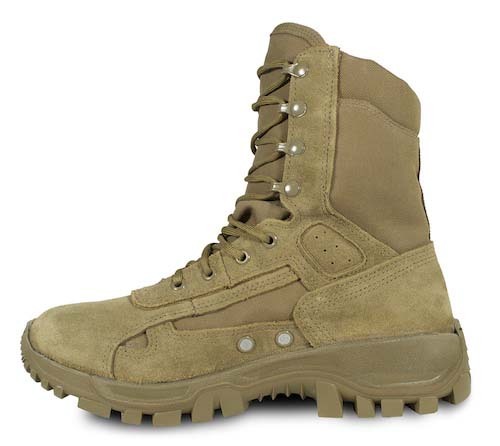 The fastening hardware is comprised of nylon coated brass eyelets and speedlaces. Extremely comfortable right out of the box. Good fit and wears well all day.